the Royal Melbourne Tennis Club was opened in 1882 by Lord Normanby, located in Exhibition Street in the centre of Melbourne. The Club consisted of a tennis court and club rooms, and later squash courts and a swimming pool were added. During the 1970s, the Committee sold the Exhibition Street site and boldly purchased the Richmond site in 1974, which included several houses in Richmond Hill, allowing for a bigger Club and expansion plans. The new building boasted two real tennis courts, two squash courts, a car park, a private garden, and swimming pool and beautiful surrounds that some call ‘the hidden oasis’. The Royal Melbourne Tennis Club building and grounds were designed by Melbourne architect Daryl Jackson, built in 1974. The new Club site was opened in 1975 by Lord Aberdare, President of the Tennis & Rackets Association. Today, the Club has a relaxed feel with people popping in for social occasions, tennis, lunch on Wednesday and Friday, and the many evening Pennant events. We run a full calendar of events with something for players of all standards. The schedule is full nearly every weekend. Buses run along Punt road, conveniently stopping nearby on Punt Road/Rowena Parade. The train stops in Richmond, and is conveniently a 10 min walk to the Club. The club has a private car park for members to use when playing. 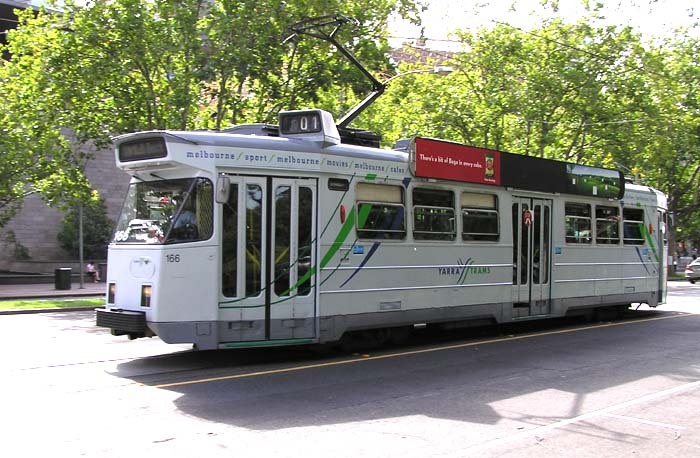 Catch a #75 or #48 trams from the city along Wellington Parade (#75 from Flinders St, #48 from Collins St) to the first stop on Richmond Hill opposite Epworth Hospital. Less than 10 minutes from the city centre. Our premier regular event is the Boomerang Cup, established over 20 years ago. In January 2014 we hosted the Australian Open (Men’s and Ladies) and in May we hosted the World Championship. We saw the great champion, Rob Fahey retain the title for the 13th time; this time against challenger Camden Riviere. We have also been fortunate to host the Women’s World Championship over the years. The 2011 event attracted the best players in the world, and cemented Claire Vigrass as Champion, with her first World Championship victory. Why would you be interested in joining? Our team of Professionals make the members time at the Club a thoroughly enjoyable experience. It is said that being a member of RMTC is like having a personal assistant to help organise your tennis. That’s because the professionals help arrange games for you with players of a similar standard. They try to get to know when you like to play and help get you on court. It’s a wonderful service they provide to the members. Our professional team are also busy hand making our 14 sets of 56 tennis balls, stringing racquets, taking lessons and clinics, marking competition matches and organising tournaments. There is also a range of tennis apparel available to purchase from the Pro-shop. We are blessed to have a very experienced Pro team, headed by Frank Filippelli & Jonathan Howell and includes Kate Leeming, John Woods-Casey and Scott Girvan. They have worked in many Clubs throughout the world, ranked highly as players and know their craft well. Their contribution is greatly appreciated by the members. real tennis is the original racquet sport from which the modern game of lawn tennis, or tennis, is descended. Real tennis is still played by enthusiasts on 47 existing courts in Australia, the United Kingdom, the United States and France. Real Tennis has its origins in Europe during the Middle Ages. Though tennis is traditionally thought of as the game of kings, early records show that it was widely played among the French clergy. It is thought the monastic style buildings lent themselves to games played within the quadrangles and games that utilised the walls. The balls were first made from the monks’ discarded robes. Among the English kings Henry VII, Henry VIII, Charles I and Charles II and James II are all known to have played, with Henry VIII being responsible for the Royal court, which still exists at Hampton Court Palace. The Real Tennis World Championship is the longest running continuous world championship of any sport. Australian Robert Fahey, a former RMTC professional, is the current world champion. Rob successfully defended his title in May 2014 at the RMTC against Camden Riviere. Our game has since 2001 also conducted the World Tennis Doubles Championship, which our club has also been fortunate to host in 2014. We are also fortunate to have hosted the womens world championship in 2011, where Claire Vigrass won her first championship. Claire is the current women’s world champion (2015) and continues to raise the bar, regularly competing against men and a true ambassador for women’s tennis. The RMTC 2019 Tennis Calendar may also be viewable when you click here. Expressions of Interest now open! We invite all real tennis players and clubs throughout the world to submit teams to play in the 2020 Boomerang Cup. This is the premier world amateur handicap doubles teams event played every two years. As was the case in 2018, for the 2020 Boomerang Cup we are keen to see as many clubs as possible represented from France, UK, USA, Netherlands and Australia. It is a great time to soak up the hospitality in vibrant Melbourne during summer, play some great tennis and have a break from the northern winter. Also there will be the T20 cricket but dates are not out yet. It is going to be a sports fest in Australia next summer. Now is the time to start planning and organise your boomerang team, lock in the dates, book flights, and so on. Official entry forms are due out in June 2019. Melbourne has consistently been voted as one of the world’s most liveable cities, and there will be no better time to be here than in January 2019. Not only is the handicap singles and doubles Roo Trophy (12-19 Jan) being played at RMTC but preceding the Roo we have the World Doubles championship in Hobart (2-6 Jan) and the Australian Open in Melbourne (8-15 Jan) running in conjunction with the Roo. After the Roo the Ladies Singles World Championship is being played in Ballarat (20-26 Jan). Don’t forget about that other tennis championship being played at Melbourne Park over the two weeks starting 14 January, and there’s test cricket in Sydney against India, and a one day international at the MCG. Also on the agenda could be road cycling, music festivals, the southern hemisphere’s largest keelboat regatta, and the National Gallery of Victoria has a sensational triennial exhibition across all four gallery floors. So, if you arrive in Melbourne a week before the Roo starts, you can watch the world’s best tennis players competing in Hobart then returning to Melbourne for the Australian Open during the Roo while watching lawn tennis and cricket. After the Roo, you could possibly spend a few days in Ballarat to see Claire Fahey defend her World Championship, before heading to Port Phillip bay for the sailing. The Roo Trophy is open to all amateur players, of any standard, and will follow previous years’ successful format of knockout and repechage handicap singles event, and round-robin handicap doubles. Registrations of interest are welcomed immediately; entry forms will be available during Q3 2018. Billeting will be available and social functions will feature a cocktail evening and a Grand Final dinner. If you’d like to host an overseas player throughout the Roo, please get in contact with the proshop. Please email the proshop if you’d like to attend the functions as a non-player. The Royal Melbourne Tennis Club currently has no employment opportunities available. Real Tennis is the original racquet sport from which the modern game of tennis is derived. The sport is played on 43 courts in Australia, UK, USA and France. In Australia, there are courts in Hobart, Ballarat and The Royal Melbourne Tennis Club (RMTC) in Richmond. The RMTC has two courts and over 500 members. We have an active membership and play seven days a week. The RMTC has a strong tradition of producing top class Real Tennis Professionals. Many of the ‘Pros’ that have worked at the Club are now working in the USA and UK as Head Professionals. We are committed to improving and strengthening our professional team and if further opportunities arise they will be published here.